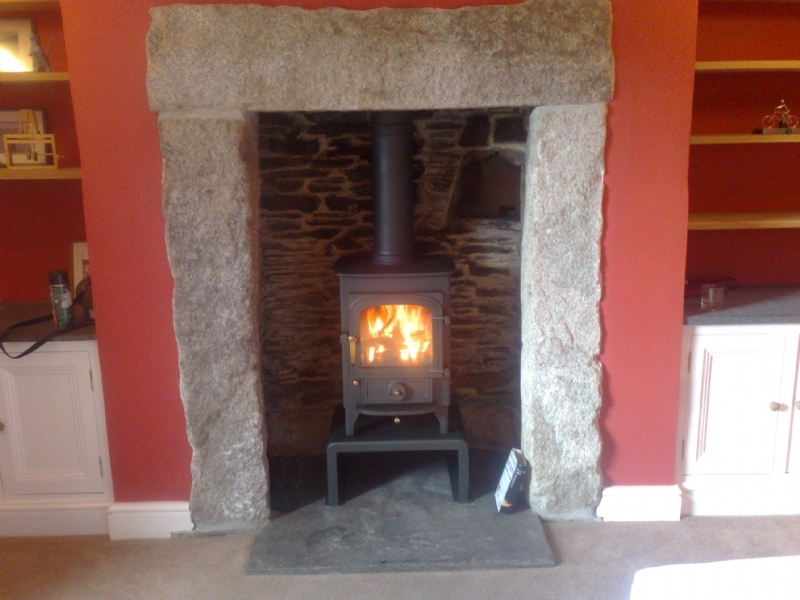 Clearview Pioneer with plinth wood burning stove installation from Kernow Fires. 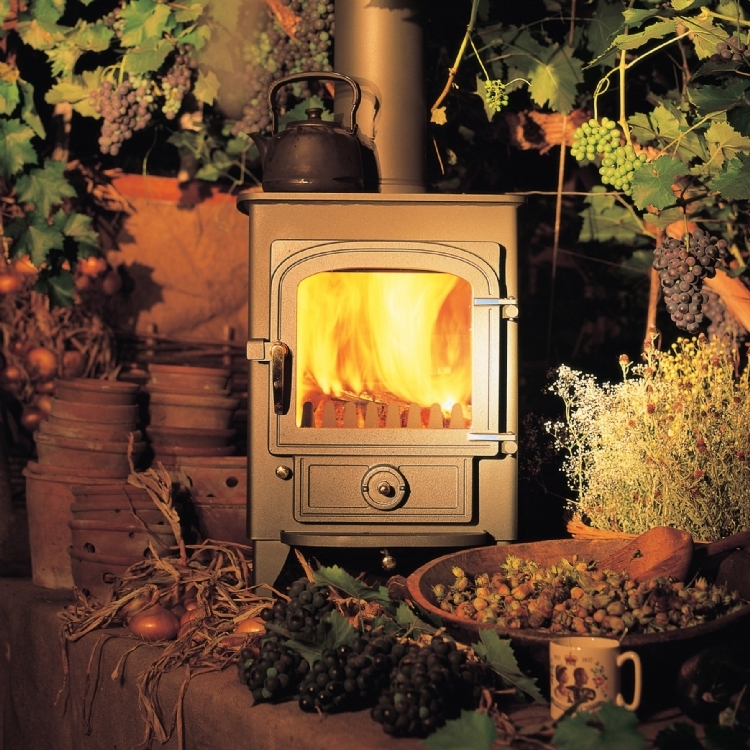 Customer Requirements: Want the fire to be raised off the hearth. 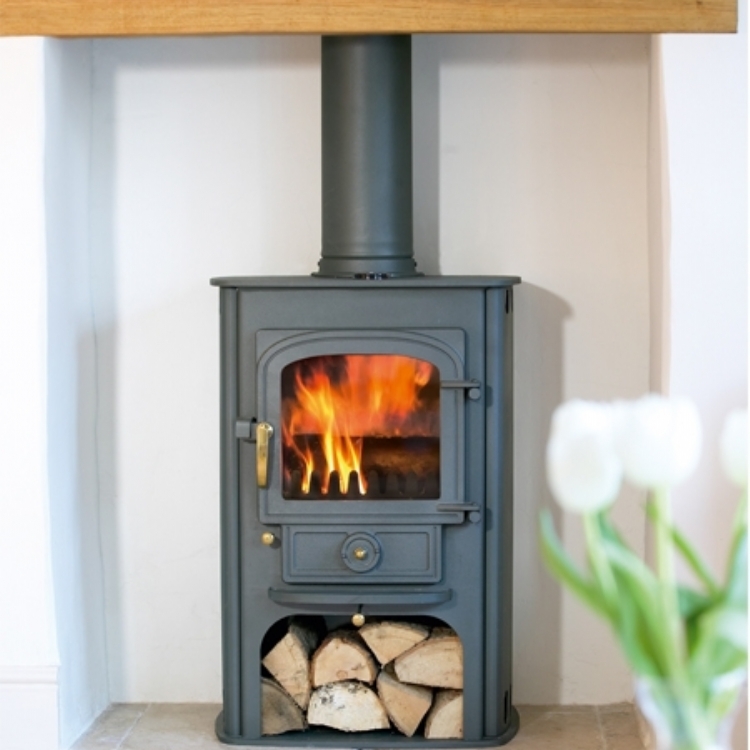 The Clearview Pioneer is a 5 kW multifuel fire fitted here with a Clearview plinth to raise the stove up in the opening. 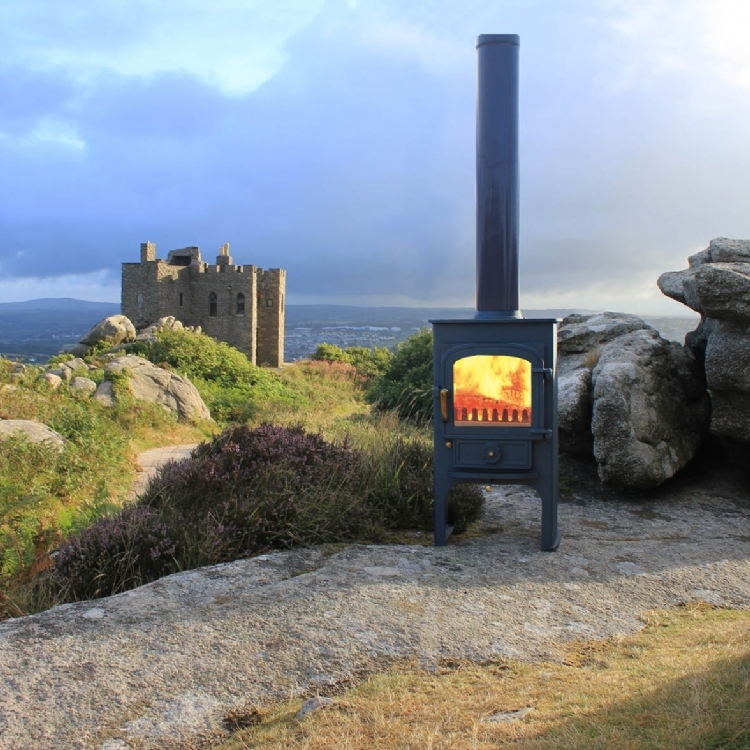 The traditional design of the stove works well with the granite surround.